A rug “hook-in” will be meeting Friday, May 1st from 10-2. 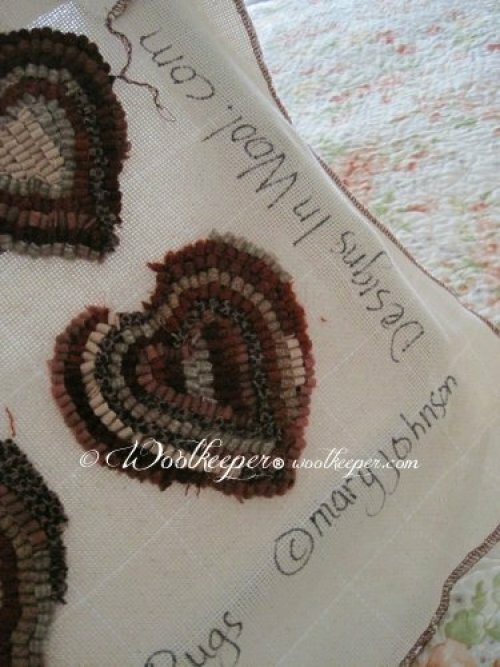 I’ll be working on these heart rug mugs by Mary Johnson from Designs in Wool. This is not an instructional class, but a gathering of rug hookers and those that want to learn how to hook. I have reserved the classroom for the first Friday of each month. The cost for the room is $10 a month to be split evenly by the number of hookers who attend that month. We will meet at Prairie Stitches Quilt Shoppe. 72 Main St. Oswego, Il. at 10 and then go over to the classroom. Hope to see you then! Every Tuesday Night--Cost $5.00 a session in the Woolkeeper's Jar. 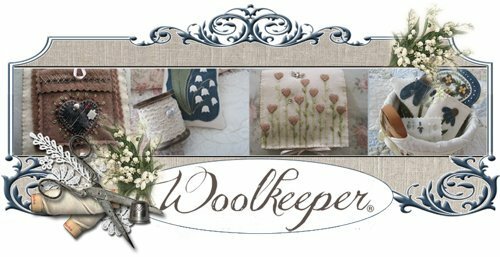 Bring whatever you want to work on that night; wool applique, embroidery, punch needle, rug hooking, cross stitch, or any other handwork. You can just sit and chat with quilters and stitchers. Bring your project in and share time with friends. Class Cost $20.00--Purchase of Needle Case kit and pattern for $33.50 is required for class. June 6th Class Has Filled and is Closed. Waiting List and Sign Up For Possible Class Repeat is Available. 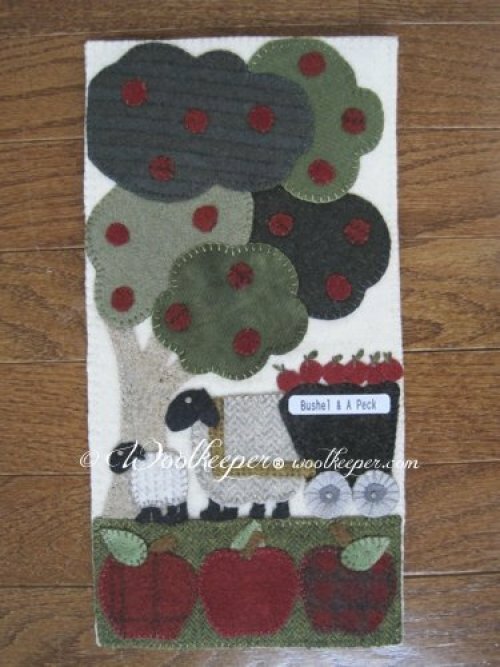 Contact me at woolkeeper@comcast.net or put your name on the wait/interested list at Prairie Stitches Quilt Shoppe. 6 labeled pages in case , plus 1 pocket and place for needle threader. 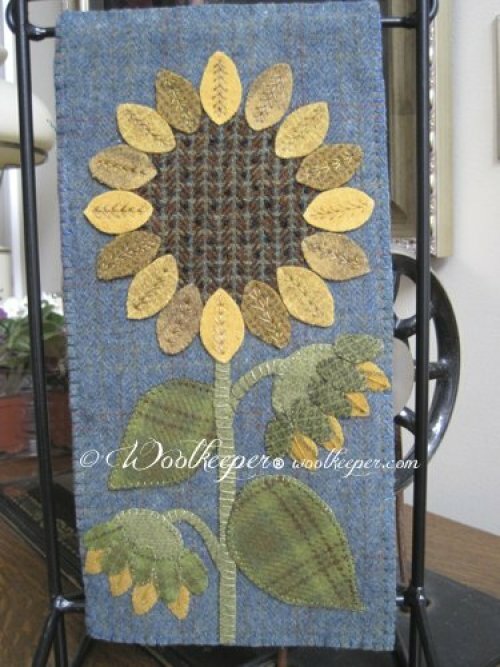 A beautiful blue wool is used for the background and backing on this August Sunflower 6” x 12” Banner. Very interesting Multi-colored textured wool is used for the center of the sunflower. A variety of mill and hand dyed wools comprise the flower petals. All wool backing included. 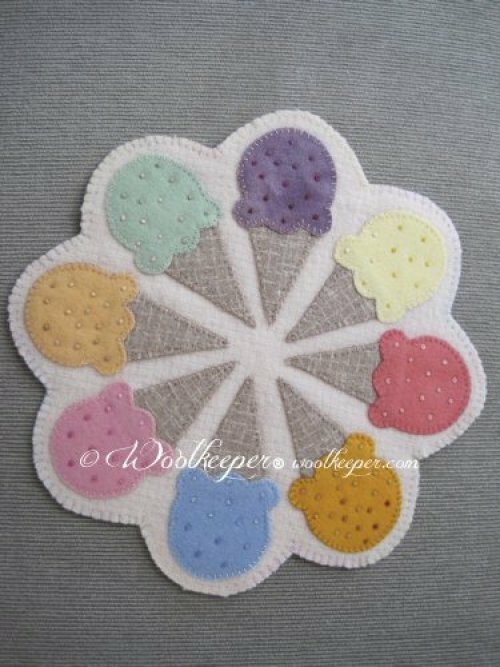 This 11” mat features refreshing ice cream cones with beautiful bright and cheerful pastel hand dyed woolens. 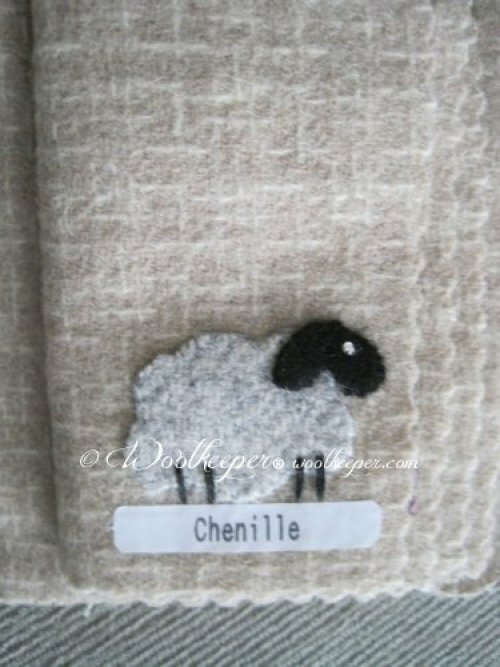 All wool backing is included. 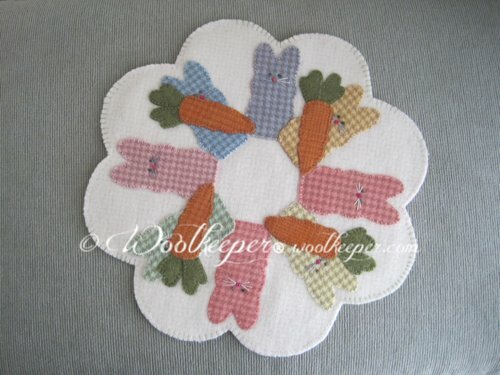 Eight chunky bunnies, four with carrots, go around this mat. 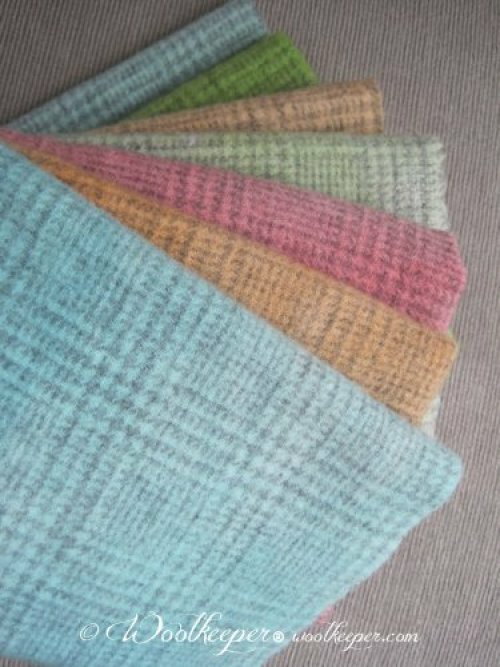 The bunnies are hand dyed woolens in gorgeous spring colors. Shepherd’s Silk thread is included in the kit for their noses along with optional ribbon ties. 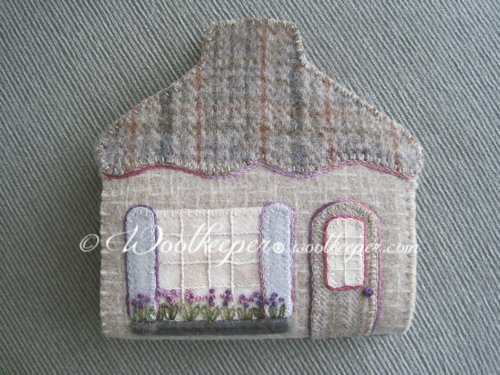 All wool backing included. 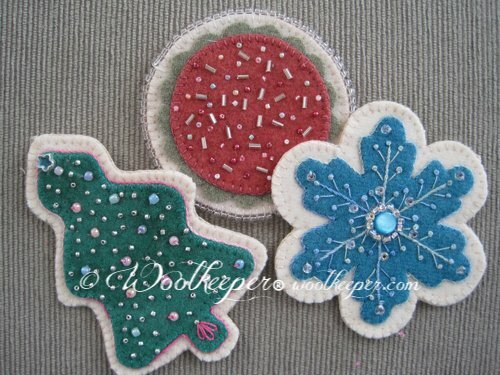 Three beaded, wool Sugar Cookie Christmas Ornaments are featured in this kit. 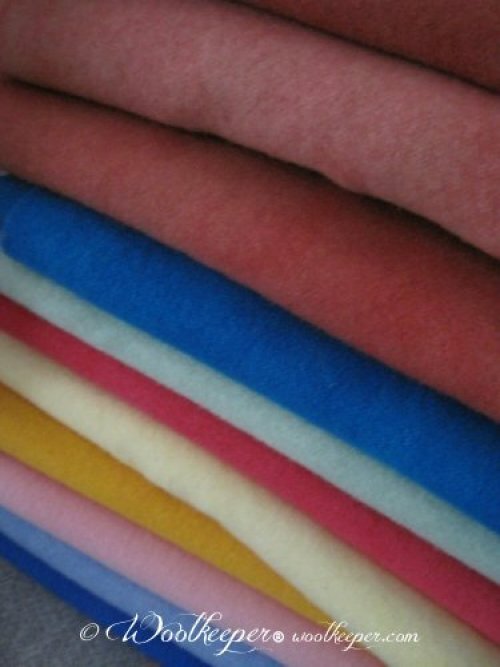 The wool “Frostings” are beautiful hand dyed wools. Beads for each ornament are included in the kit. Ho-Ho-Ho! 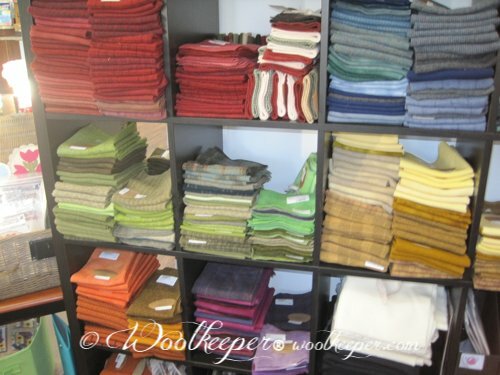 Hope you can stop by Woolkeeper’s Corner and see all the new beautiful Wool in delightful Spring colors!